Awarded at the discretion of the coaches. As the name implies, this cup is awarded to the junior athlete whom the coaches consider has shown the most dedication to the sport of athletics during the last 12 months. 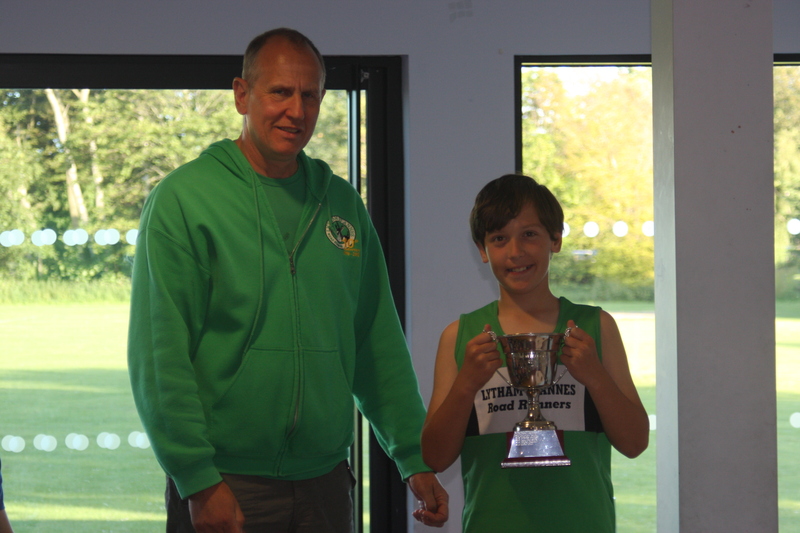 2015 winner Simon Holt receiving his trophy from Club Chairman Nigel.